Happy News for a Brazilian Couple! 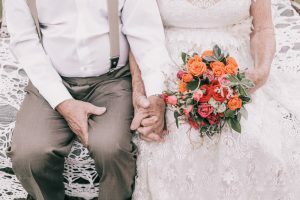 We love sharing good news stories 👍 from around the world 🌎 so when we read about a Brazilian 🇧🇷 couple having wedding photos taken 60 years after they got married 💍, we just had to write about it. Dona Rosa and Sec Russo got married in 1957 👰🤵. It was a modest affair which took place in a relative’s yard. An aunt baked the cake 🍰 and Dona’s godmother made her wedding dress 👗, but no photos were taken of the day. 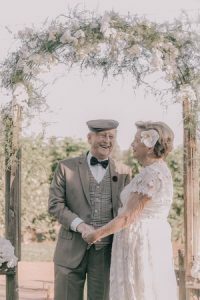 Fast forward 60 years and a collective of creatives in Sao Paulo teamed up to help the couple recreate their wedding day, this time with a photographer to capture every moment 📸. 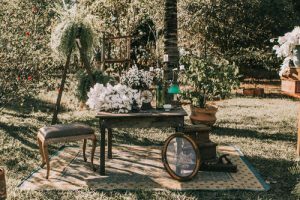 The not-so-newlyweds celebrated with their nine children 👩, 16 grandchildren 👧 and four great-grandchildren 👶 in an outdoor setting decorated with vintage furniture and fairy lights 💡. All elements for the wedding, from the dress to the flowers 💐, were kindly donated by local businesses who helped give the family a day to remember ❤️. All photos credited to: Sao Paulo Fotografia. Eat an Emoji Dinner in Dallas! Imagine a menu communicated in only Emoji. One Dallas restaurant has done just that!